Stupeflix is a great video tool for educators. 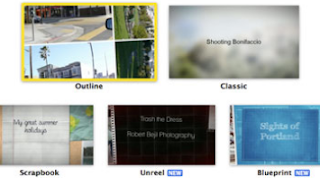 This is a service that allows its users to easily create awesome video montages using images and audio clips. Stupeflix resembles Animoto but has some different functionalities not found on the Animoto. The only thing I do not like about this new service is the limit they put on free videos. You will have only 60 seconds for each video you make for free. Stupeflix enables its users to add audio clips to their images to make awesome videos. Images can be uploaded right from your computer or via image hosting websites such as Flickr and Phtobucket. The same goes for the sound tracks, you can either use a pre-provided sound clipcs from Superflix library or upload your own. Once your video is ready you can then share it on Youtube or via the other social media websites such as Facebook and Twitter. Again Free users will only be able to share videos on Youtube and Facebook , no download is availabel for them. Head over to Stupeflix and give it a try.